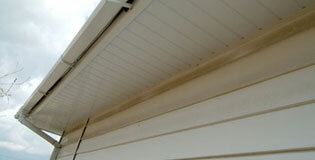 Taking care of your fascias, soffits and guttering goes a long way towards protecting your home from water damage. Whilst your roof does take the brunt of ever-changing weather conditions, your fascias and soffits render your roof watertight whilst your gutters safely transport rainwater away from your building's foundations. With Trent Roofing, you can take advantage of a professional uPVC roofline installation service, offering both you and your home protection from the elements. At Trent Roofing, we're dedicated to saving you money as and when we can. If your existing timberwork is still in good shape, then you may benefit from our low-cost overboarding service, designed to modernise the look of your property whilst giving you years of maintenance-free life. Based in Nottingham, Trent Roofing is ideally located to serve clients throughout the city and neighbouring areas including Derby, Ilkeston, Hucknall, Carlton and surrounds. We offer free quotes as standard, so why not contact us today to discuss your requirements? 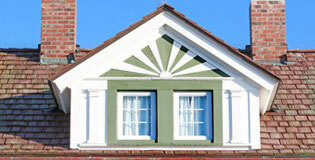 For long-lasting, durable uPVC roofline fittings in Nottingham and Derby, speak to the experts at Trent Roofing. Call us today for a free quote.